After two centuries of nation-building, the world has entered an era of region-building in search of political stability, cultural cohesion, and socio-economic development. Nations involved in the regional structures and integration schemes that are emerging in most regions of the world are deepening their ambitions, with Europe’s integration experience often used as an experimental template or theoretical model. 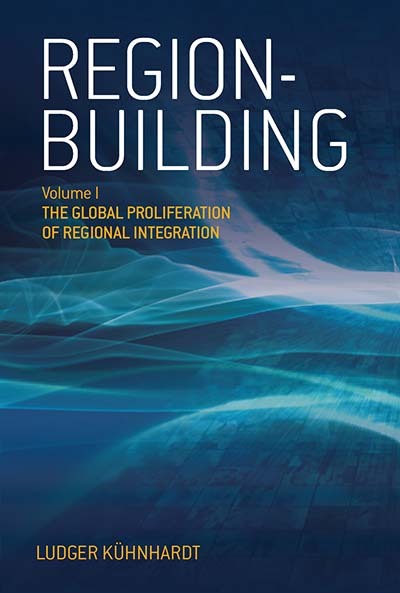 Volume I provides a political-analytical framework for recognizing the central role of the European Union not only as a conceptual model but also a normative engine in the global proliferation of regional integration. It also gives a comprehensive treatment of the focus, motives, and objectives of non-European integration efforts. Volume II offers a unique collection of documents that give the best available overview of the legal and political evolution of region-building based on official documents and stated objectives of the relevant regional groupings across all continents. Together, these volumes are important contributions for understanding the evolution of global affairs in an age when power shifts provide new challenges and opportunities for transatlantic partners and the world community. Ludger Kühnhardt has been Director at the Center for European Integration Studies (ZEI) and Professor of Political Science at Bonn University since 1997. He has been advisor to political leaders in Europe and Africa. As a Public Policy Scholar he has worked at the Woodrow Wilson International Center for Scholars in Washington D.C. As Visiting Professor he has taught and studied at renowned universities across the world, including St. Antony’s College Oxford, Stanford University, Dartmouth College, Seoul National University, Cape Town University, and the College of Europe in Bruges. He has conducted research in comparative region-building in all continents. Chapter V: Africa: Renaissance through Regionalism?